← Carman, Manitoba, Canada. July 26th, 2011. An apparent water main break has triggered a massive sinkhole across the southbound lanes of County 11 between McAndrews and Palomino Drive. 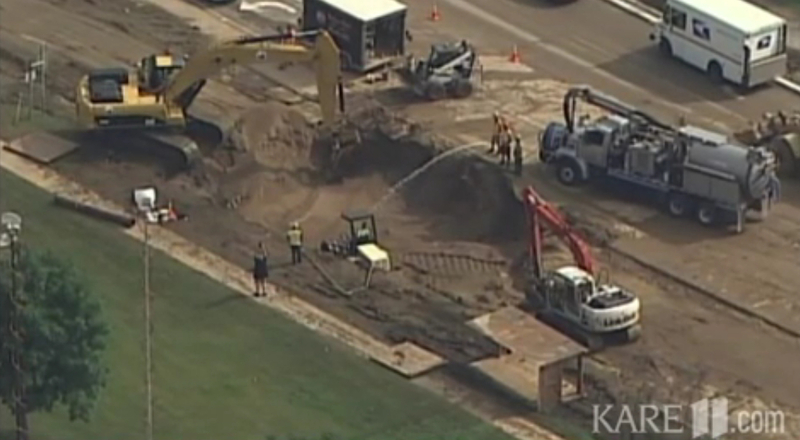 The sinkhole is more than 30 feet deep and at least 30 feet across. Crews worked through the night on the problem and hope to have the road open sometime on Thursday or Friday. 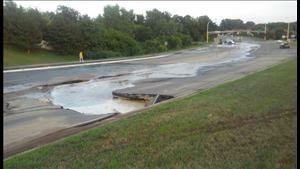 Motorists called 911 just after 6 p.m. Wednesday night reporting water shooting up from the broken pavement. 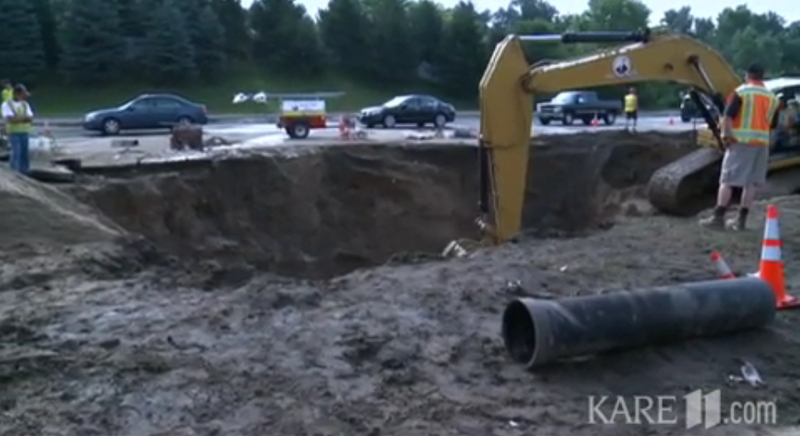 Eventually the road caved in, revealing the giant sinkhole. The cause was a breech in a 50-year-old cast iron pipe located approximately 20 feet deep below County Road 11. Due to the depth and location of the main, southbound County Road 11 was closed to all traffic as crews dug to reach it. The location of the break is about one block off Interstate 35E. Approximately a dozen area businesses were hooked up to a temporary water supply after losing service. This entry was posted in Pictures and tagged Minnesota, sinkhole. Bookmark the permalink. 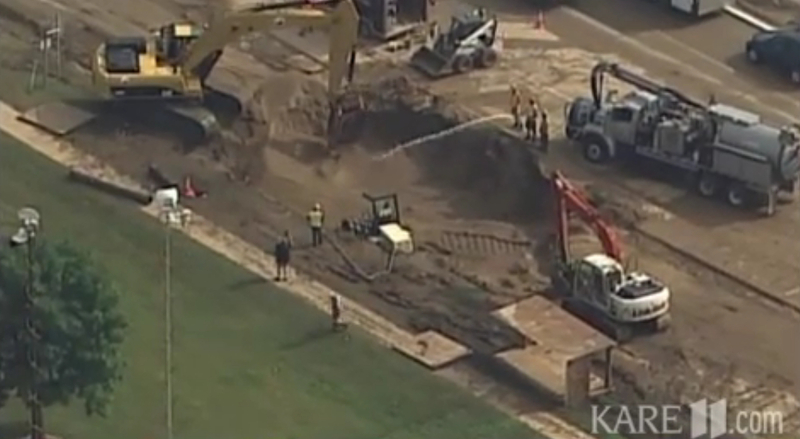 The size of that sinkhole is astounding. I didn’t realize how big it was until I saw the aerial shot. I heard about it on the news but these are first pics I’ve seen.